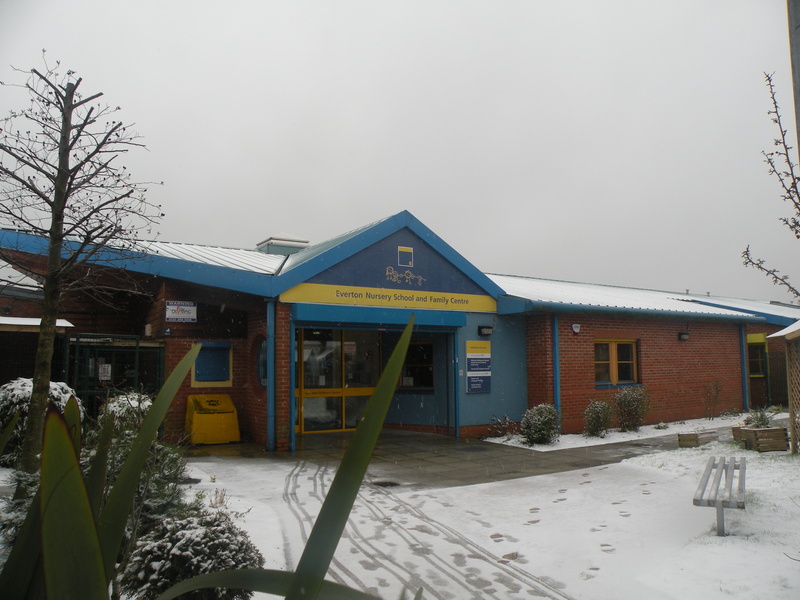 Children of all ages have been using Ipads at Everton Nursery School and Family Centre. There are so many free apps that relate to the EYFS Development Matters. 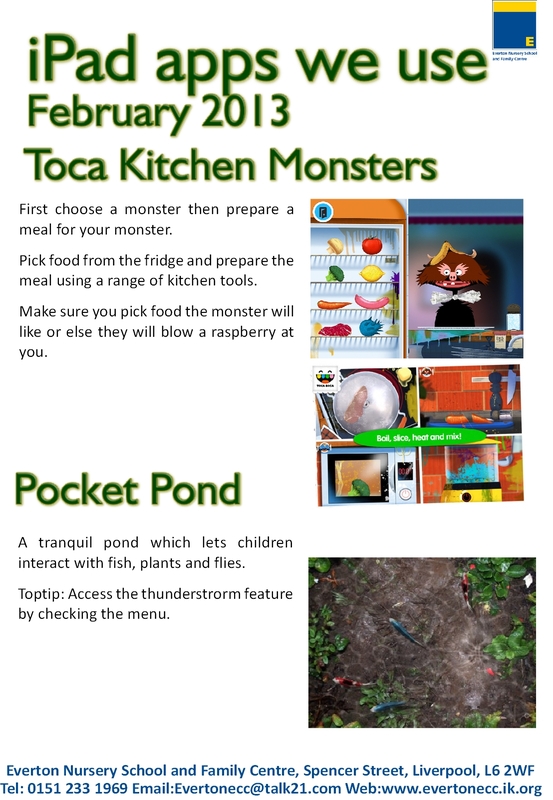 Each month on this blog we will share a couple of apps that we have been using in the classroom so that Parents/Carers can extend their children’s learning by using the same resources at home. iPad apps for use in the EYFS. There are paper copies available on the iPad display outside Cresswell. 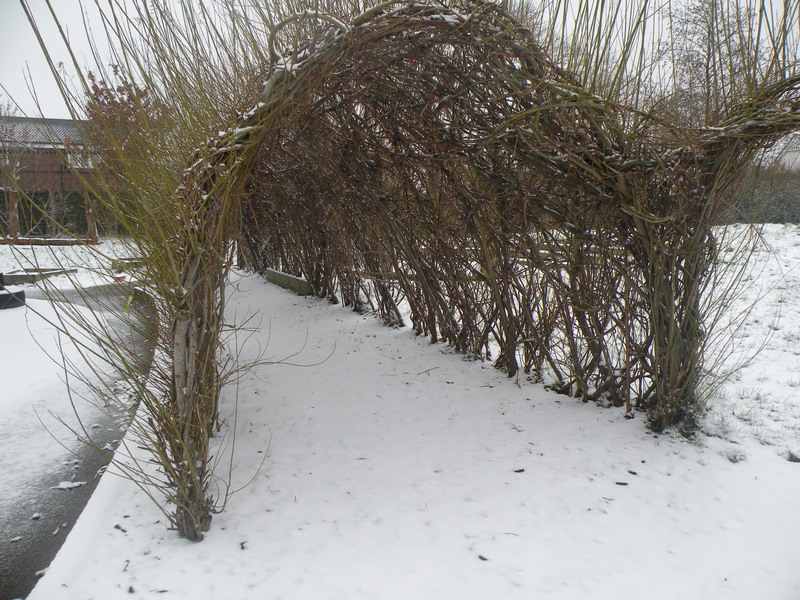 Here’s some pictures taken at lunchtime on 13th February 2013. Here is the energy produced by our solar panels in January 2013. 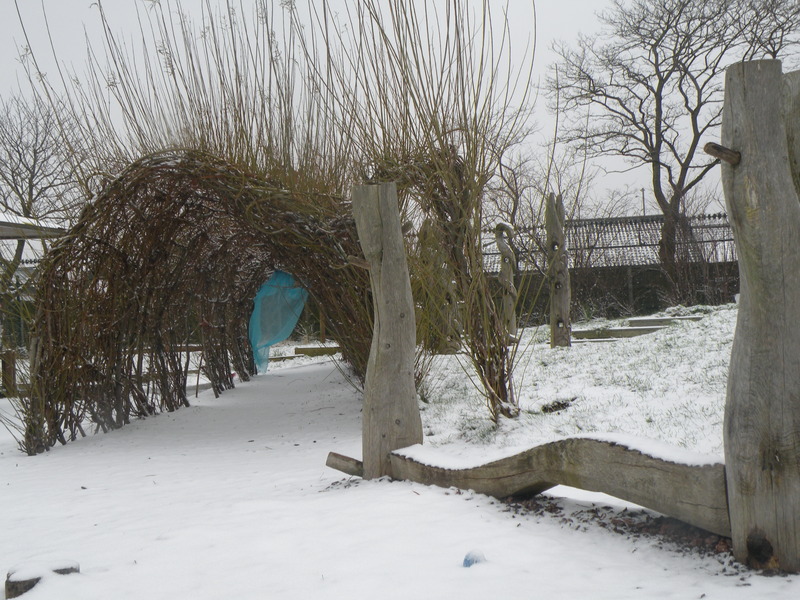 To celebrate the launch of our latest EYFS resources:Island Time Booklet and Island Time DVD, Everton Nursery School and Family Centre have unveiled a special offer. 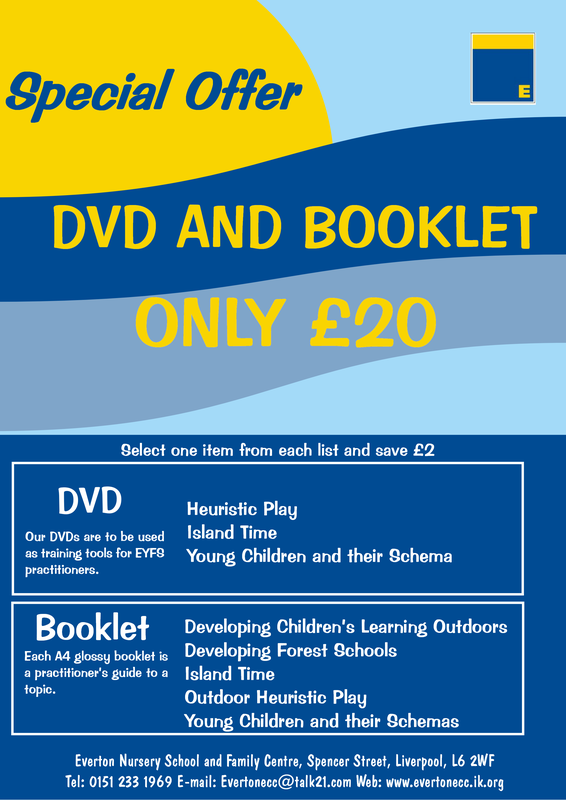 Our EYFS training resources cover a wide range of topics with DVD’s covering Heuristic Play, Island Time and Schema. 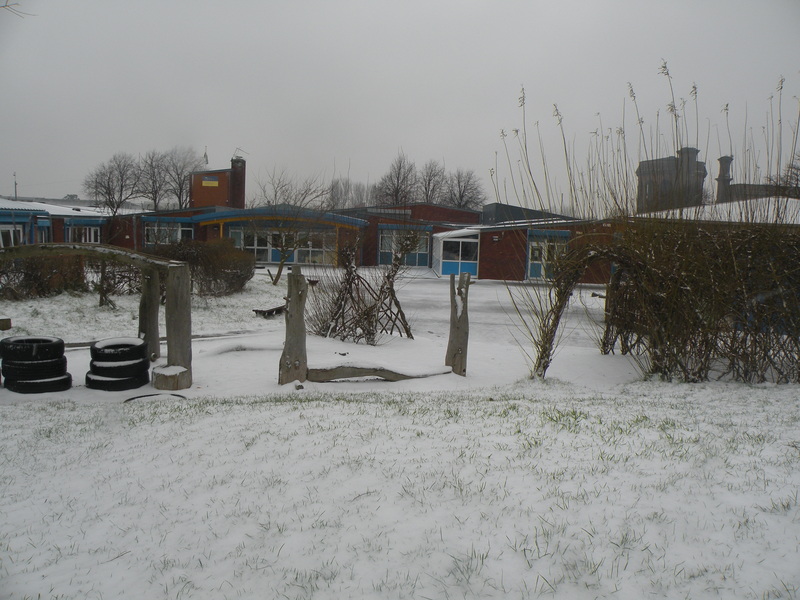 Our booklets are titled: Developing Children’s Learning Outdoors, Developing Forest Schools, Island Time, Outdoor Heuristic Play and Young Children and their Schemas. 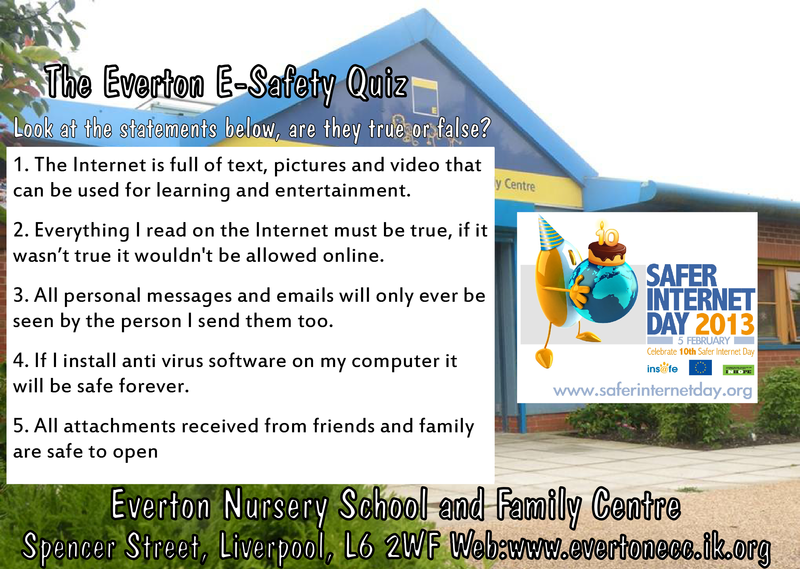 Today is Safer Internet Day, why not try our E-Safety Quiz. 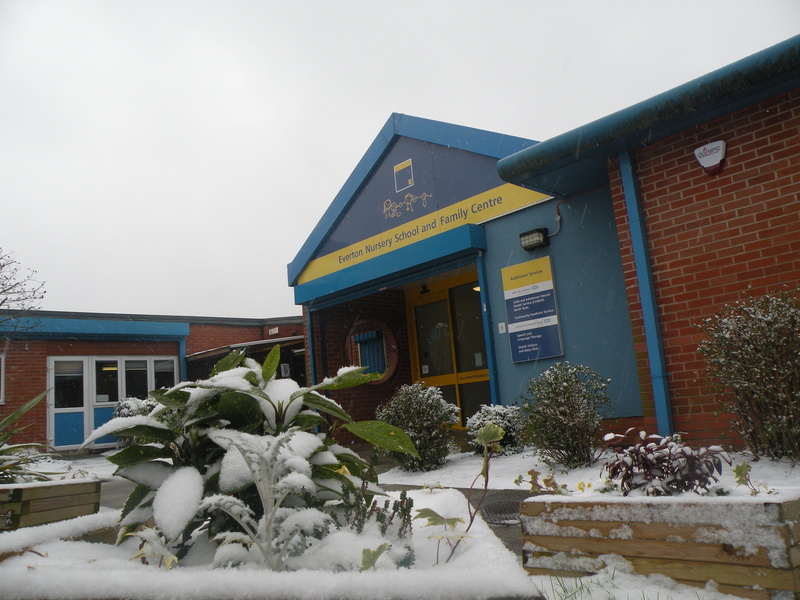 There will be paper copies given out at 3pm also make sure you pick up your copy of Digital Parenting which includes How to guides to search safely and to set up privacy controls.